Having a sustained cash flow through your business is essential. Delayed or late payment should be minimised within your overseas operation as much as possible, but some late payment of invoices is almost inevitable. When late payment does occur and to stop these debts becoming unmanageable, you should have a system in place to chase these late payments. This system should be part of your overall credit policy. Late payment from overseas customers should be handled just as efficiently as you do in your UK operation. The fact that your customers are overseas should not make any difference. 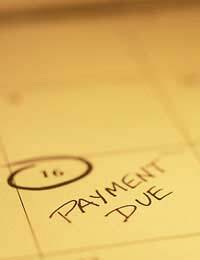 Late payment can be minimised with a good credit control system. Ultimately, checking the credit history of each of your overseas customers will ensure your business avoids as much late payment as possible. Often, small businesses will have a high level of late payment simply because they do not have clear and concise terms and conditions. Your overseas customers rely on these details to ensure they understand your trading terms, that includes of course, your payment options and the due date of an outstanding invoice. Look very closely at the terms and conditions your overseas office uses. Are these ambiguous in any way? If so, they should be rewritten as soon as possible. When your payment becomes overdue, your credit control system should highlight to your accounts staff that they need to start a debt collection procedure. Often, a late payment will be nothing more than an oversight. A simple and polite phone call is all that is needed to secure the payment from your customers. After your overseas office have called late paying customers several times, you must now escalate your action to the next level. Placing the debts that your customers owe you into a statement of account lets them see at a glance what is owed. Your business also has documentary proof that a full statement of account was sent to these customers in the event of them raising a dispute. If your statement of account is not successful, your credit system should then move to make your debt collection for formal. This can take the form of a letter from your business’s MD or CEO. The formality of this letter is often what you need to get these customers to make a payment. After the formal letter from your business the next step is to start to take initial legal action. In the first instance this should take the form of a solicitor’s letter. Formalising this approach can be highly effective at securing the payment your business is looking for. There will be a charge for the letter of course, but this is often well worth it to obtain your late payment. If all else fails your business’s final move will be court action. Depending on the amount of money you are owed will determine what kind of court action you should take. Also, as your office is overseas you must take qualified legal advice from a professional based in the country your office trades from.